USAA is one of our favorite banks because they offer so many great perks to their members (free checking, great insurance, and more). So, it's natural to wonder if you can get USAA student loans to pay for college. USAA used to provide student loans for military members but discontinued the program back in 2016. This has left some military personnel wondering what the next best option is. In this article, we’ll share a few alternatives that offer similar benefits. If you're looking to refinance a student loan, jump right to our Best Places To Refinance Student Loans. If you're looking to pay for college, jump right to our guide to The Best Student Loans And Rates To Pay For College. What Is a USAA Student Loan? USAA isn’t a federal loan program. It’s a Fortune 500 company that provides financial products to active, retired, and honorably separated members of the U.S. military. They offer financial products for insurance, banking, investments, and retirement. USAA student loans were private student loans and distributed through a partnership with Wells Fargo. USAA members received a 0.25% discount. After the program ended, Wells Fargo took over the administration of the existing loans. At this time, USAA does not offer student loans. We are focused on delivering products and services that benefit our overall membership. In a past review of our student loan referral program, we saw that demand for this service had decreased. Therefore, the student loan referral program was discontinued on December 1, 2016. We recommend that you contact your school's financial aid office to learn more about aid options. Additional resources include the Federal Student Aid office through the U.S. Department of Education and U.S. Department of Veterans Affairs. As mentioned above, there are alternatives to USAA student loans for military personnel, which we’ll discuss next. USAA student loans weren’t that different from government student loans, which are awarded through FAFSA applications. Most student loan servicers offer a 0.25% discount with direct payments from your bank account. While these loans aren’t private, they do have all the benefits that come with government student loans. One of the main benefits is some of the lowest interest rates available. Federal student loans should be one of the first places you turn to as an alternative to USAA student loans. USAA career starter loans are only available to military members who are cadets, midshipmen, or officer candidates. The loan amounts range from $25,000 to $35,000 with interest of only 0.5% to 2.99%. These loans must be paid back within five years. These low-interest loans are a great choice for those who have income and can make the monthly loan payments. You can save by paying down a higher-interest loan up to the amount you were awarded by USAA. You can read more here about career starter loans under the “Start Your Career” tab. The Army Student Loan Repayment Program is for active-duty military personnel. The Army will repay 33 and 1/3% of the outstanding principal balance, less taxes of the soldier's student loans annually or $1,500, whichever is greater, after each year of service (up to $65,000, less taxes) up to three years total. "Soldier must agree to a term of service of three years or more." "Soldier must decline enrollment in the Montgomery GI Bill in writing, using DD Form 2366." "Soldier must have LRP guaranteed in writing in the enlistment contract." "Soldier must be a non-prior service accession." "Soldier must have a high school diploma and a score of 50 or higher on the Armed Services Vocational Aptitude Battery (ASVAB)." "Soldier must enlist in one of the critical MOSs that qualifies for the program (Local Army recruiters have the current list, which changes quarterly)." "Loans must be made, insured, or guaranteed under the Higher Education Act, Title IV, Part B, D, or E or any loan incurred for educational purposes made by a lender that is (a) an agency or instrumentality of a State; (b) a financial or credit institution (including an insurance company) that is subject to examination and supervision by an agency of the United States or any State; (c) from a pension fund or a non-profit private entity (subject to case-by-case review) and prior to entry on active duty." If you aren’t eligible for any of the above choices, you can apply for a USAA personal loan. Military personnel certainly have an edge when it comes to loan choices. Especially through USAA, you’ll likely find a low-rate loan that meets your needs, helping you avoid higher interest rate loan products. If you're considering a personal loan, make sure you shop around. We recommend Credible to compare personal loan options because they are the Kayak of loans - you can see your options at multiple lenders in 2 minutes or less. After looking at Federal loans to pay for school, there are still lots of options out there for private loans or other loan programs. If you're looking to refinance your student loans, we recommend looking at Credible. Credible is a comparison platform for loans that allows you to shop for them in minutes. 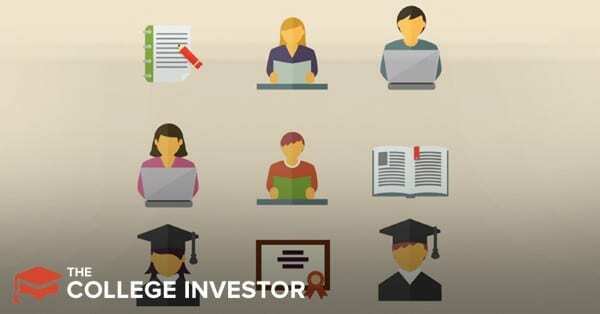 Plus, as a College Investor reader, you get a $200 bonus if you refinance with Credible. Check out Credible here. If you're looking for private student loan, check out our guide to the Best Places To Get A Private Student Loan. The bottom line is, while USAA is amazing in other areas, they don't offer student loans anymore. But there are a lot of great options out there to help you if you need it.